Annotation: Literacy expert Pam Allyn and her colleague Georgie Marley share 75 of their most effective homework pages in this comprehensive collection. Match homework to kids by skill level or learning style, or simply provide one of the many sheets that offer choice and watch as kids select the activity that allows them to showcase their learning the best. 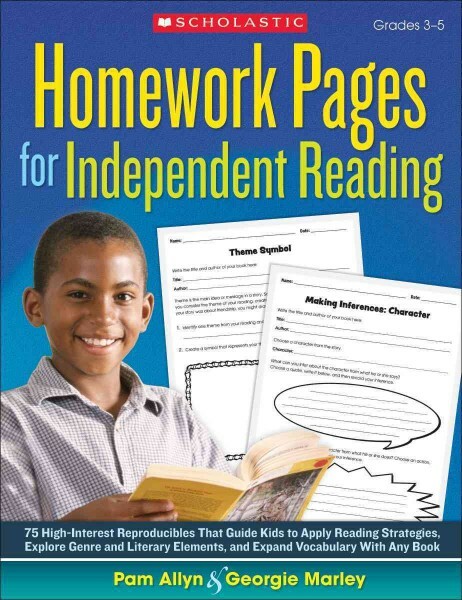 With pages on reading strategies, genre, literary elements, and vocabulary, you?l turn to this resource all year long for meaningful, manageable homework!